Using bank car loans is one of the most common ways to purchase a car. Using a bank loan, instead of a dealership loan or some other method, offers several benefits. Here are the potential benefits of going through a bank for your car loan. One of the biggest reasons to go through a bank for your auto loan is the convenience that it provides. When you deal with a bank in your local area, you will be able to stop by and deal with someone face-to-face. If you have a question about your loan, you can walk in and ask someone. If you need to pay your bill immediately on the due date, you can do so. Having a local branch to deal with will make your loan a lot simpler to pay and understand. The features that a bank offers will make the loan process work simply as well. For example, there is a good chance that you will have online account access to your loan. This will allow you to login, look at your payoff balance, your payment, and any other pertinent information. This allows you to gain access to the information that you need quickly and conveniently. When you work with a dealership loan or some other means to get the car, you may or may not have access to these types of features. When working with a bank for your auto loan, there is a chance that you will be able to secure a lower interest rate than you would through other means. By getting a lower interest rate, it will make your monthly payment smaller and it will lower the total amount of money that you pay over the life of the loan. If you are working with a bank that you have worked with in the past, they may feel more comfortable with you because of the relationship that you have with them. You might be able to borrow from the same company that has your mortgage or business loan and they will reward you with a lower interest rate on this loan. 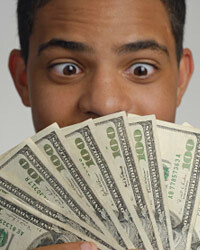 Many lenders will also offer you a discount for opening a checking account with them at the same time. There may be an additional discount if you agree to have your monthly payment for the auto loan deducted out of your account automatically. This way, it gives them some form of control as to when and how they get their money. Another benefit of going with a bank is the familiarity that comes with it. When you work with a bank that you have done business with in the past, you know what to expect from them in the future. You are familiar with their policies and the way that they do business. With a dealership loan, you do not really know what to expect from them going forward.